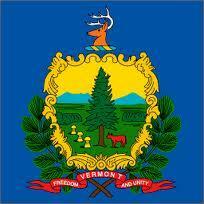 List of Vermont schools offering degree programs in nursing, RN-to-BSN, RN-to-MSN, LPN, CNA, and more. Vermont is known for its maple syrup, minerals, and quiet country lanes. Visitors come from across the country to watch the leaves change color in the fall. Small town life meets city convenience in Burlington and Essex. Registered nurses living in Burlington make an average salary of $52,000.